Is it finally time to replace your old windows? 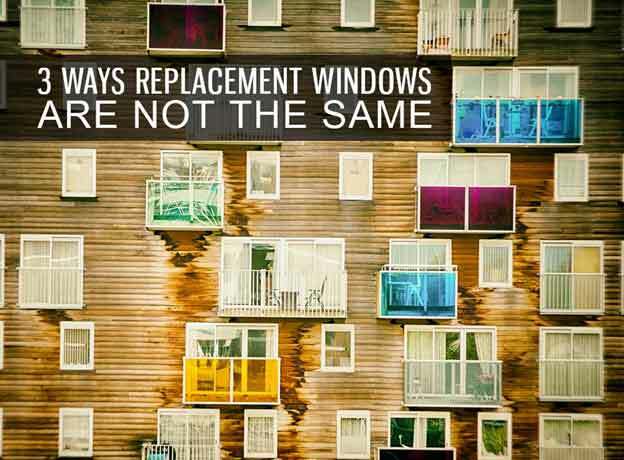 If so, have you chosen which type of replacements you want to install? While most replacement windows in Detroit are great at enhancing your home’s looks, comfort, and value, they differ in their level of performance. Some offer better energy efficiency than the rest while others are more apt for improving ventilation and lighting in the home. • U-Factor – It tells how resistant your windows are to heat flow. The lower the score, the better their insulating performance. • Visible Transmittance – It measures the amount of light that passes through your windows. • Solar Heat Gain Coefficient (SHGC) – It indicates how much solar radiation enters your windows. A lower SHGC means your units admit lesser amounts of solar radiation. If your goal is to boost your home’s energy efficiency, be sure to look for the ENERGY STAR® label on your windows. 2. Materials – Windows come in different materials, such as wood, aluminum, fiberglass, and vinyl. For units that are more beautiful, durable, and low maintenance than the rest, we recommend vinyl replacement windows in Michigan. They are some of the most long-lasting types available, since they are not prone to warping, chipping, and cracking. 3. Glass – As the largest part of your window, the glass needs to perform its job effectively, which is to bring the right amount of light and heat in your home. For better results, make sure to consider dual or triple panes when choosing windows. This is because single pane windows might only cause your home to warm up quickly due to the absence of gas fills. As your trusted window contractor, we only install multi-pane windows with low-E coatings to keep your home comfortable all year round. If you need help choosing the right windows for your home, you can always count on Kroll Construction. We have over 50 years of industrial experience, making us your top choice for your upgrade project. To get started, simply call us at (888) 338-6340 or complete our form. We look forward to hearing from you!